We are the southeasts premier Wetedege technologies applicator. Our in house crews specialize in pool surface and resurfacing applications. Our master masonary crew is in charge of our outdoor fire pits, fire places , kitchens , flagstone and travertine decks and pool coping Our expert pool finishers are in charge of white plaster, Altima , luna quartz, satin and pearl matrix pebble surfaces, prisim matix (our pebble -glass blend surface and hand polished primerastone finishes. From Olympic size surface jobs to residential resurfaces we do them all. Let us provide you an in house free consultation to remodel your pool from removing and replacing tile, coping, surface, decks to adding a spa , tanning ledge, outdoor flagstone deck and fireplace or whatever your need is to create an outdoor recreational environment suited to your needs. As the premier luxury pool builder of Alpharetta, Milton Pools uses its years of expertise to make dreams become a reality. Whether you are wanting to create a space to entertain or just relax, we design outdoor living spaces and pools for the ultimate backyard paradise and there is no idea too large or too grand. With over 30 years of factory experience, we have created over 2,500 pools in Georgia and have won a multitude of industry awards. 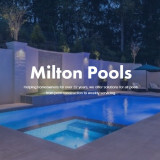 You deserve the best and that is exactly what you get when you work with Milton Pools. Our team is expert in Teledyne, Jandy, as well as the Zodiac factory methods, and is always up to date on the latest trends and technology so they can provide the best recommendation based on your individual needs. Contact us today for a free estimate. Our design skills and craftsmanship speak for itself, and we are excited to help you build your future paradise. Lazy Day Pool and Spa, Inc was founded in 2004 by Christopher Ward who at the time was serving as a Police Officer for the City of Snellville Police Department and running the business on a part time basis. The business grew very quickly in that first year so Mr. Ward resigned as a police officer in order to focus all of his efforts on growing Lazy Day Pools. In the beginning, Lazy Day only offered pool maintenance services but quickly expanded into other areas of service such as new pool construction, beaded pool liner replacements, pool cover installations, pool repair, and salt system conversions. In 2006, Lazy Day added Drinkable Pool Water Systems to our product line-up which proved to be one of the best strategic business decisions Lazy Day has ever made and this product offering continues to fuel Lazy Day’s unheard of growth even to this day. 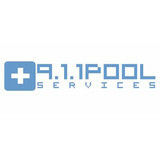 911 Pool Services Inc. is North Atlanta’s source for full-service swimming pool and hot tub installation services. Our level of quality has been honed by years of experience. We bring expert attention to detail and highly experienced professionalism to pool maintenance, installation, cleaning, repair, renovation, and other services. Our years of experience in every aspect of pool repair and maintenance result in dependable, friendly solutions for any project. No matter what the task, you can rely on us because we are a Certified Pool Operator, Rheem/Raypak certified, and a member of the National Pool and Spa Association. We provide top tier service at a competitive price. WE CARE about the health and safety of the customer, and the pool and equipment. We also enjoy building a relationship with our customers long term. Its about trust and peace of mind. We would love to earn your business. I am a pool technician that works alone so that way you know exactly who is coming to your pool every time. I do a great job and I am an experienced professional. Most pool companies are just scams and will bill you crazy amounts for very poor work. I am not like that, I have your needs and concerns at heart. I guarantee satisfaction! A Perfect Pool Company has been providing quality pool maintenance, cleaning, and repair services to homeowners in the Monroe area for over 20 years. They provide a wide range of services, from leak detection to acid washing, as well as weekly or bi-weekly maintenance. They strive to help each of their clients keep every part of their pools in excellent shape, and they provide high quality workmanship along with the best products and materials on the market. TLC Pool and Spa offers complete swimming pool and spa repair and maintenance, equipment repair and replacement, vinyl liner replacement and pool safety covers, and has been servicing the Marietta and Atlanta, Georgia, areas since 1988. We are the proud dealer of Dimension One hot tubs, Bioguard pool care products, The Big Green Egg, Primo Grills, Yeti Coolers. TLC can analyze your pool or hot tub water with state-of-the-art testing equipment, and will provide you with a computer-generated print out of your water’s chemistry and tell you how to keep your water clear and safe. We pride ourselves as being the most reliable and responsive pool and spa company around! Top-Notch Pool Management keeps you cool with expert pool management service in Alpharetta, GA, and the surrounding areas. Whether you need swimming pool repair, pool cleaning, or ongoing pool maintenance, Top-Notch Pool Management can help. Our pool service technicians handle everything from general pool and spa service to more complex spa repair and pool repair. We can also install a pool fence for extra privacy and safety. Established in 1986 and approaching near sixty thousand service calls completed our seasoned technicians have complied the experience needed to help you with any of your hot tub needs. At AMS Pools we have the expertise to take care of all of your seasonal pool needs. In addition to our seasonal pool management and maintenance services, we at AMS Pools have the expertise to perform more involved pool renovations and repairs as well as new pool construction. Pool Builders Atlanta – With more than 50 years of experience, the professionals at Crystal Clear Luxury Pools have created some of Georgia’s most spectacular backyards. We don’t set limitations on creativity, so we can design and build anything our customer’s imaginations create. Communication, teamwork, and on-site supervision of projects from beginning to end are the keys to our successful completion of each and every project. Each pool is carefully planned, scheduled, and financially managed, in order to assure the meeting of deadlines. Our high standards of craftsmanship, combined with reliability and integrity, yield a continuous list of satisfied clients. 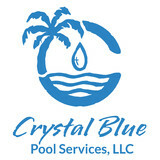 From the beginning, Crystal Clear Luxury Pools has stood for quality, pride, and commitment. Today, we continue to delight pool owners and backyard dreamers with award winning designs, exclusive features, and quality service. However, it’s our attention to detail that truly sets us apart from the competition. 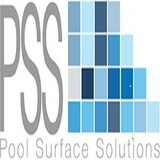 Since 1996, Pinnacle Pools has been providing Atlanta pool owners with superior pool services. Our promise of quality service is backed by years of experience in the swimming pool business. This includes a background in pool construction, pool renovation, service, and repair. All of our courteous techs are constantly drawing on their depth of experience to keep your pool running well and handle any repairs quickly and efficiently to minimize any down time. Pools and hot tubs are great fun, but they also come with not-so-fun upkeep and maintenance. That’s where Lawrenceville, GA pool cleaning services come in — leave the dirty work to the professionals so you can enjoy swimming and relaxing without a single worry. Whether you’ve got a leak, cracked tile or just need recurring cleaning, you’ll need a Lawrenceville swimming pool repair and maintenance company that you can trust to get the job done right. What should I look for when hiring a pool cleaning service in Lawrenceville, GA? Pools and hot tubs are big investments, so you’ll want to make sure to protect them by hiring an expert who cares about them just as much as you do. Check that the Lawrenceville swimming pool maintenance service you are interested in actually specializes in the type of pool you have — chlorine and salt water pools have very different needs, and in-ground versus above-ground pools will require different upkeep and repair methods. Also, know who will be doing the repair or service; if it’s one of the larger swimming pool services in Lawrenceville, GA, request that you get same person every time, otherwise you could get inconsistency in treatments. Good Lawrenceville pool professionals will keep a consistent schedule and log everything they do so that it can be referenced in the event that you switch companies or something does go wrong. Like any other professional, look for local pool cleaning companies near you with plenty of good reviews and relevant experience. Find a Lawrenceville, GA swimming pool repair and maintenance specialist on Houzz. Narrow your search in the Professionals section of the website to spa and pool maintenance companies in Lawrenceville, GA and read reviews and ratings for pros in your area.